The Resistance! 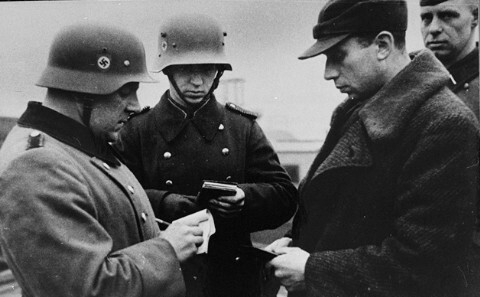 : I'd Like To See Your Papers Please! I'd Like To See Your Papers Please! Deborah Davis thought she'd save gas and money by taking the bus to work, but she was arrested by Denver "Federal Protective Service" cops when they searched everyone on the public RTD bus, demanding "ID" from every passenger. She had an ID but thought she didn't live in a totalitarian state. Public pressure forced the feds to drop the case, but the story is not yet over. Alaskans are particularly sensitive to governmental restrictions on their freedom. A group of them are fighting in federal court against the government's incursions on their rights. In 2004, they brought a case challenging the CAPPS II program. The government has since abandoned the CAPPS II program. In 2005, they were able to show, through records requests, that the Secure Flight program did not work. The government has since abandoned their schedule to implement the program and has "returned to the drawing board" to reexamine the program as a whole. The United States is a hard place to travel without your "papers", and John Gilmore is suing to uphold his right to travel by common carriers (trains, airplanes, buses, and ships) by merely paying the published fare and following the published rules. The government claims he can't travel without getting and showing a "government-issued photo ID" (but they won't even publish the rules that supposedly say so). After the March 2004 District Court dismissal and the Ninth Circuit 2005 rejection of Mr. Gilmore's appeal, a petition for cert was rejected by the Supreme Court in January of 2007. Larry "Dudley" Hiibel was standing by the side of the road, having a smoke outside the pickup truck his daughter was driving, when a policeman confronted him and demanded his ID card. He declined numerous times, and the policeman arrested him, then yanked his daughter out of the car and threw her on the ground. Since he hadn't been doing anything wrong, he was arrested for failure to follow a state law that required those "suspected of a crime" to state their name if asked for it. His arrest and subsequent conviction were upheld by the Supreme Court, leaving the right to remain silent in jeopardy, as well as the right to live anonymously. GM = Government Motors: Fascism takes over USA.